After getting his engineering degree from MIT, Kay moved to California and went to work at NASA’s Jet Propulsion Laboratory, where he worked on the development of the Redstone rocket. Kay left JPL to start his own company, and invented the first digital volt meter, which improved the accuracy of voltage measurements. In 1981, he attended the West Coast Computer Faire, which featured the new “portable” computer invented by Adam Osborne (Honorary Unsubscribe, Volume 2). By next year’s Faire, Kay showed his own competing model, with better hardware: the Kaypro II (the “II” to capitalize on the success of the Apple II), for just $1,795 — or, in 2014 dollars, $4,432. It weighed 29 pounds, so most dubbed it “luggable” as opposed to portable. 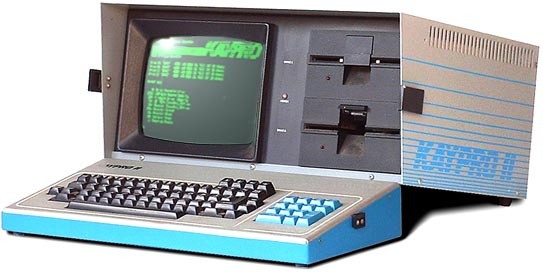 As Osborne faltered, Kaypro jumped ahead and became the largest portable computer company in the world. Using their Kaypros, Arthur C. Clarke wrote 2010: Odyssey Two, and Stephen Case added a modem to his, explored the primitive online world, and went on to create AOL — America Online. But Kay was slow to adopt the de facto industry standard MS-DOS operating system; his company also faltered, and entered into bankruptcy in 1990. Kay continued to make computers until he was about 90 years old, selling them from a storefront in southern California. 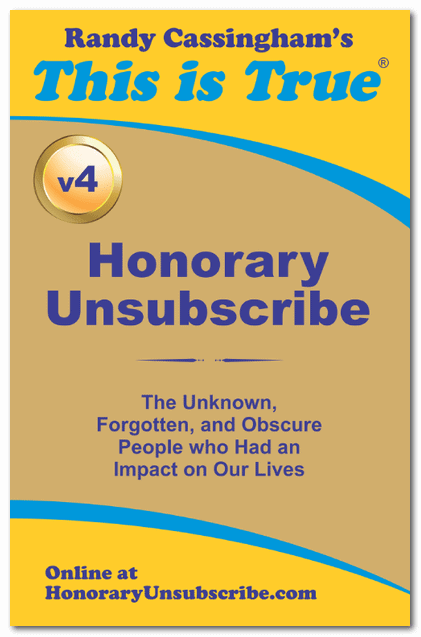 He died on August 28, at 95.